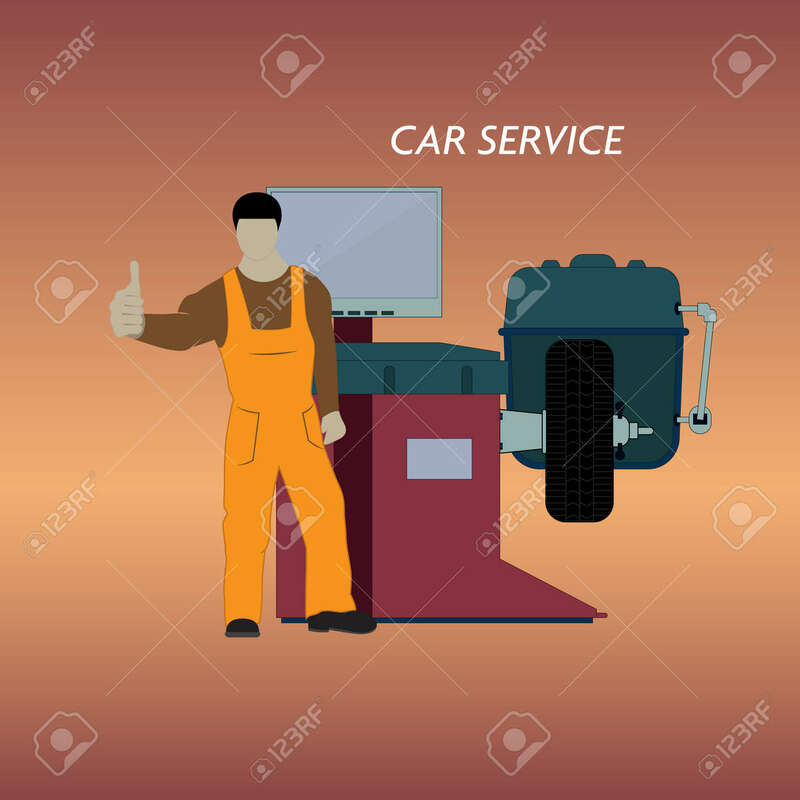 Vector Illustration Of A Car Service For Balancing Car Wheels. The Worker Stands On The Background Of Tire Fitting Equipment. Lizenzfrei Nutzbare Vektorgrafiken, Clip Arts, Illustrationen. Image 99096589. Standard-Bild - Vector illustration of a car service for balancing car wheels. The worker stands on the background of tire fitting equipment. Vector illustration of a car service for balancing car wheels. The worker stands on the background of tire fitting equipment.